A sandy beach backed by an impressive dune system. The beach is popular with families. The tide at Fraserburgh Philorth Beach is currently rising. High tide will be at approximately 5:39 AM, and the next low tide will be at approximately 11:54 AM. There is a car park to the west of the beach. around 14 miles south-southeast as the seagull flies, around 18 miles by road. 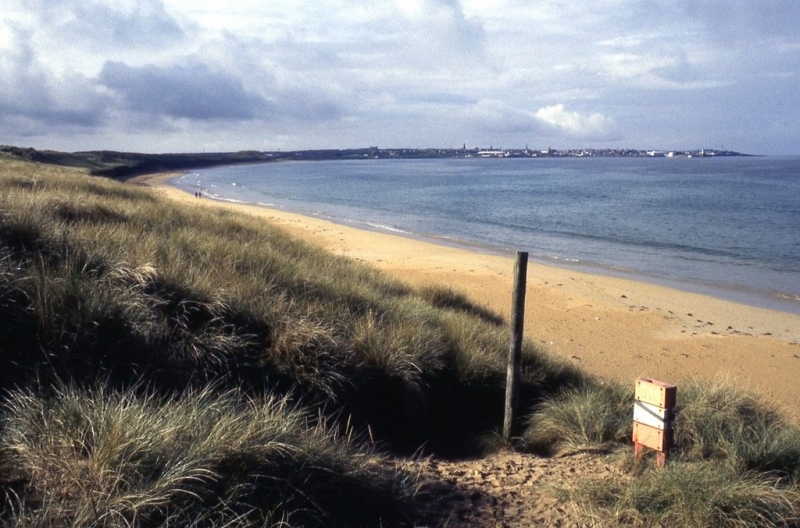 Visitor information for Fraserburgh Philorth Beach, Aberdeenshire, Scotland. Weather, tides, visitor comments, beach facilities, photos, nearest postcode, beach information and nearby accommodation.